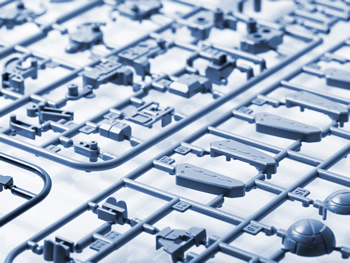 Our capabilities include small and large injection molds that are utilized in a variety of industries. Whether you're building tennis ball containers or lawn fencing, or building 100 units or 100,000+ units we are your mold shop for the job. Family molds, single molds, or rubber molds are our expertise. Contact us today to get a quote started. Needing your mold fixed in a hurry? Call us and we can discussion emergency expedited machining quotes.